All classes will be held at St. James Community Square, 3214 West 10th Ave.
To ensure that you will receive the course materials before the class, you should register at least one week before the class. Registration will not be accepted on the day of the class. The course is taught in one day, with a lecture covering Module 1, sections one to five below in the morning. 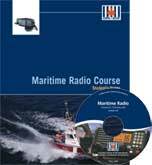 Following a lunch break, there is a lecture on Module 2, covering the Global Marine Distress and Safety System (GMDSS). The official exam is given about 3 PM. The exam consists of a 60 question multiple choice exam. A separate 20 question exam covering Module 2 only is available for those who already have an ROC(M). The exam is marked as candidates finish the exam. To purchase the course manual for self-study, or to arrange for an individual exam, please contact Peter Bennett at 604-817-4165.